Type the names or email addresses of people you'd like to share your notebook with. Select Can edit to assign read/write permissions, or Can view to assign read-only permissions. 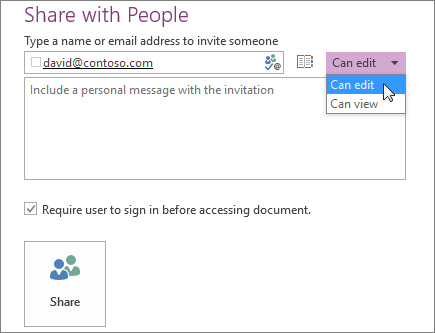 Add a personal note, if you'd like, and then select Share to email a sharing invitation to the specified recipients.